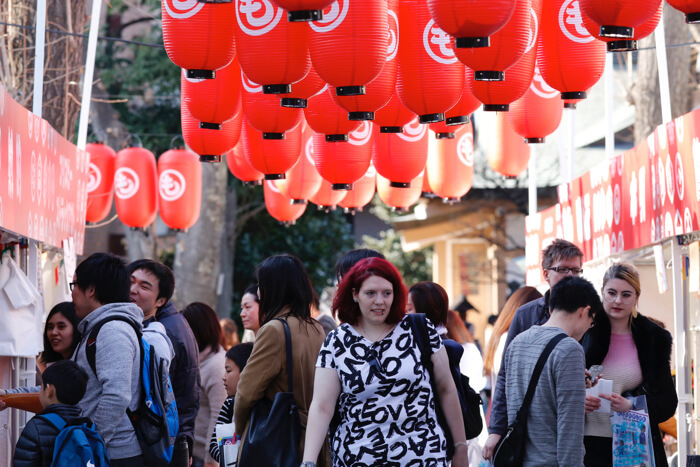 MOSHI MOSHI NIPPON FESTIVAL 2018 in SHIBUYA promoted Japanese culture to the world from Shibuya. 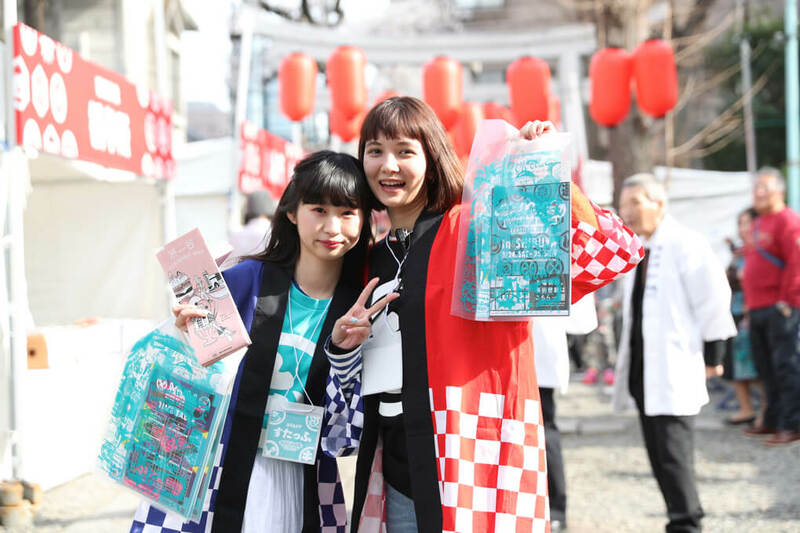 Over the course of two days, MMN delivered a new kind of Japanese festival to 16,000 people. 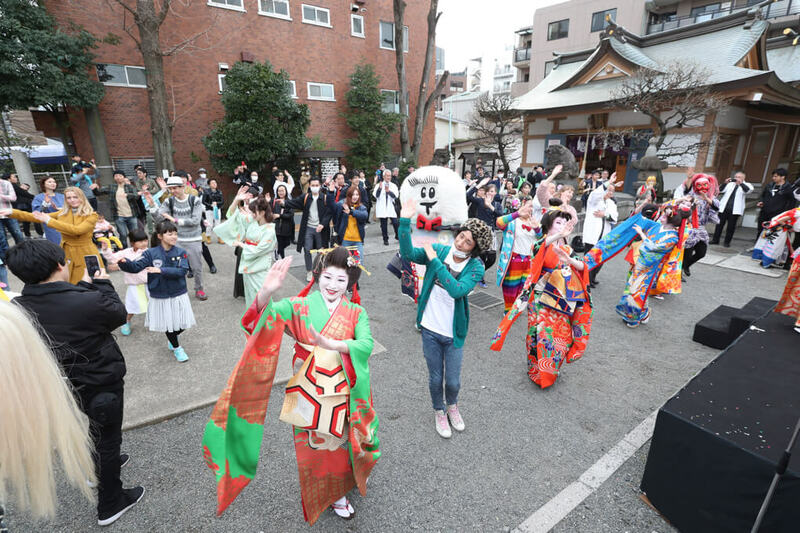 In this article, we report on Onden Shrine – one of the four areas of the festival – where the gods of Harajuku are enshrined. Let’s take a look at the line-up of performances for the stage area as well as the variety of booths! 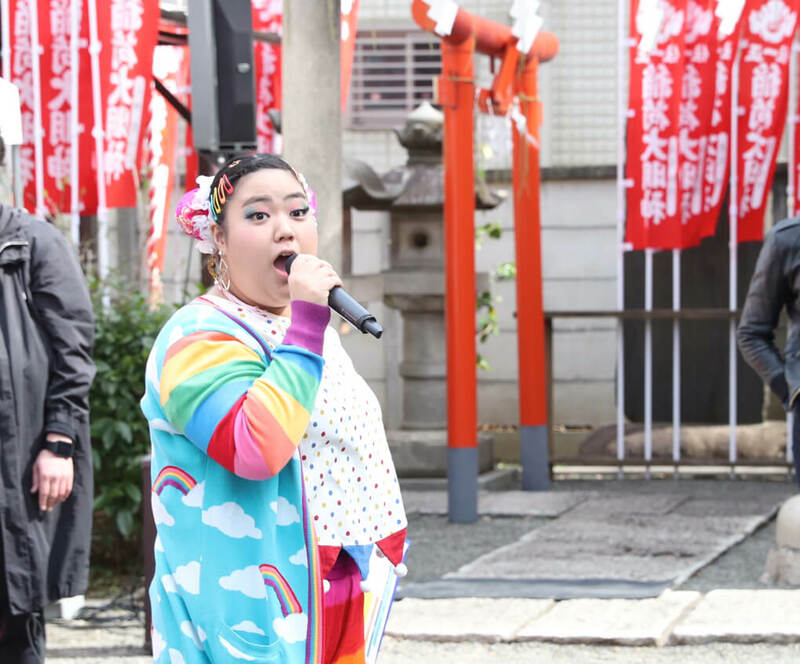 Mio Ooyama was in charge of presenting the on-stage performances and, with her bilingual skills, introduced each performer to the audience. Satsumasendai Odoridaiko opened the stage with a team made up entirely of women who struck their drums like thunder. Dressed in traditional outfits, the traditional sound of their drums rippled through across the event. 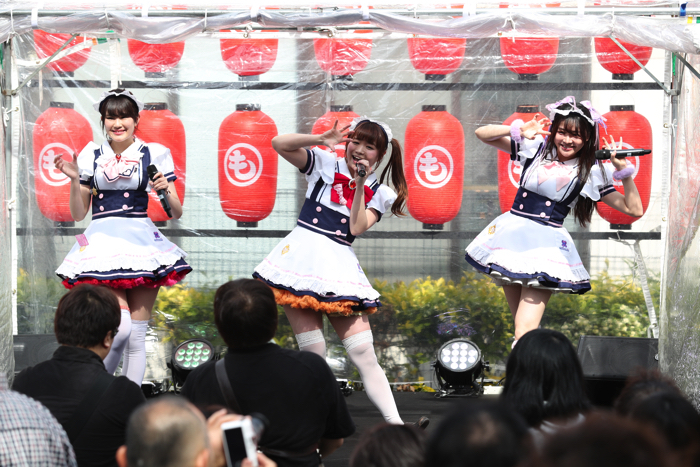 The members of maid café group Maidreamin put on a full-force idol performance, captivating the crowd with their catchy music and kawaii dance moves! 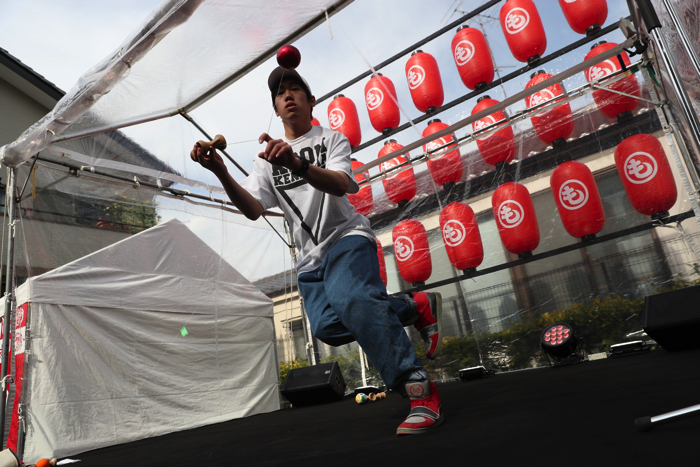 Next on stage was kendama performer EASY, who is also active overseas too. 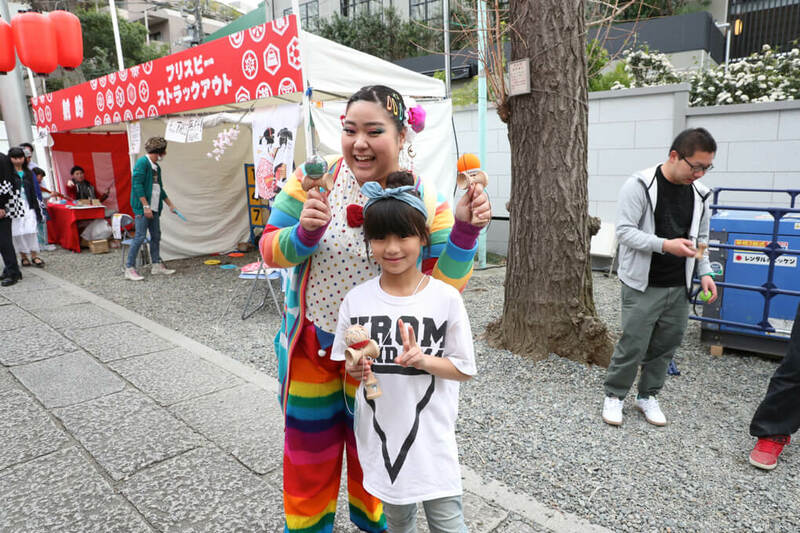 His skilful performance with his kendama – a toy enjoyed by both children and adults – garnered him huge rounds of applause. Then it was character DJ time, which all the kids had been waiting for! 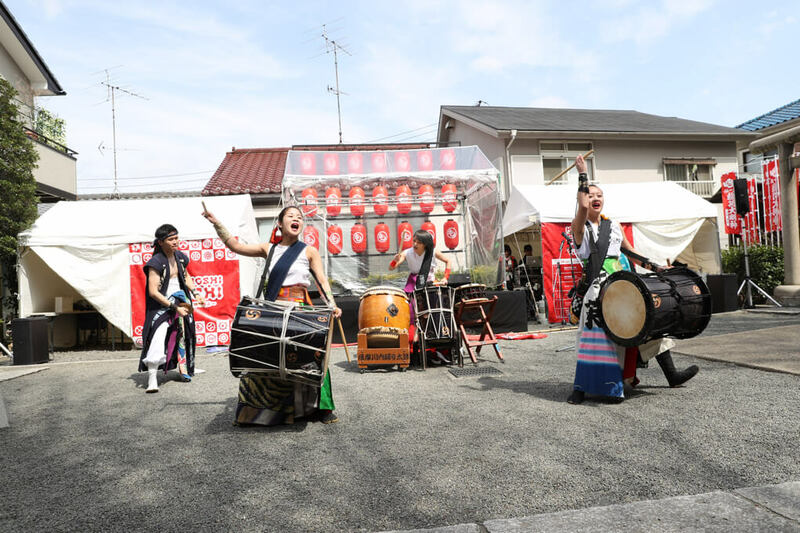 Shimockey of Shimo-Kitazawa and Coroton of Gunma Prefecture were there to entertain. They both sang and danced together with the children! 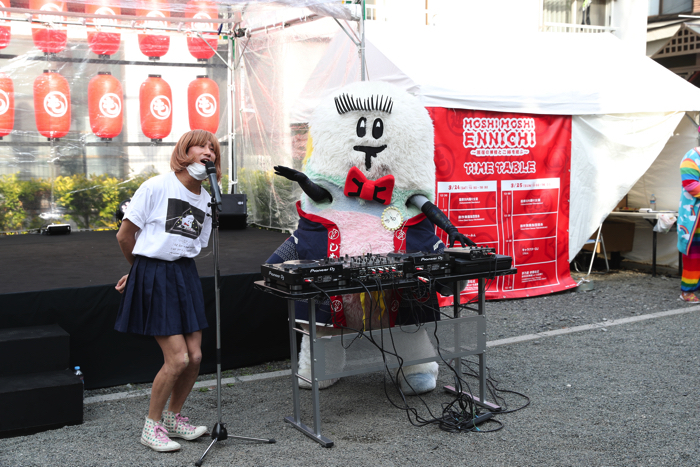 Shimockey and Coroton were also very popular outside DJ time too. Last on stage was Ukon Takafuji of YUMENOYA for the Japanese dance show. At the end, all the performers, attendees and venue staff joined in with Bon Odori dancing! Everyone got involved from children to adults, overseas tourists and the character DJs. 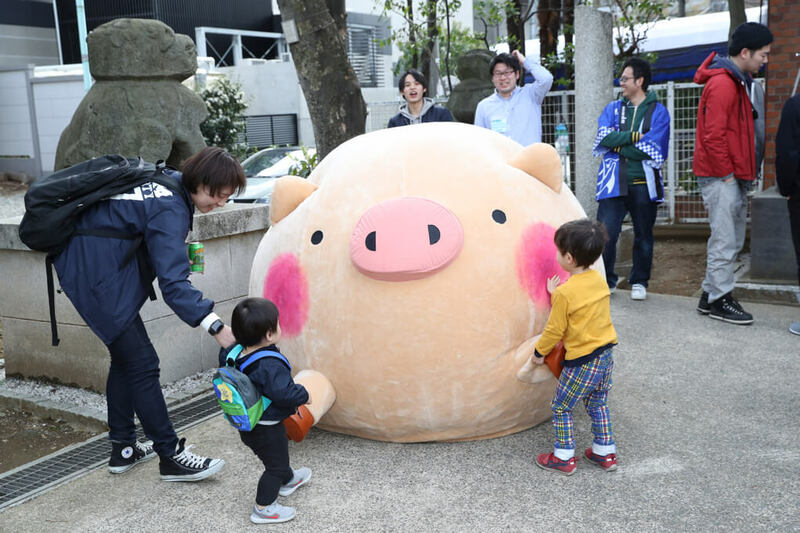 The Ennichi area was filled with food and games, as well as MOSHI MOSHI NIPPON style workshop booths. There was a diverse line-up of booths enjoyed by kids, grown-ups and foreigners too. The colourful cotton candy store from Takeshita Street in Harajuku TOTTI CANDY FACTORY served up a special event-only menu. 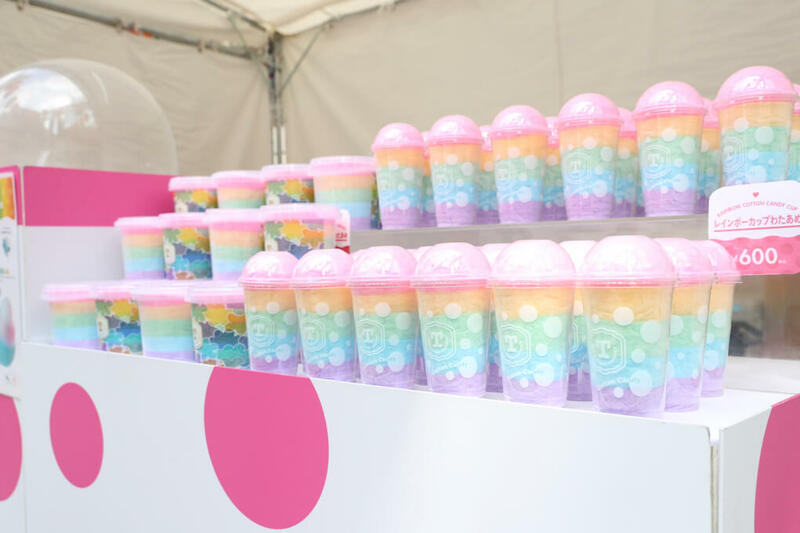 They sold a numer of things, including TOTTI Rainbow (¥800) which was a combination of 5 flavours: plain (white), strawberry (red), carbonated (blue), and lemon (yellow). 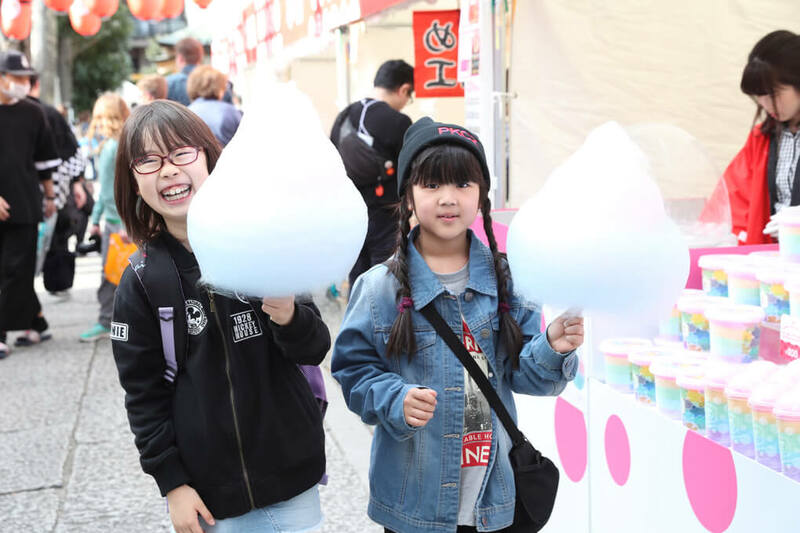 Cotton candy is a common treat sold at shrine food stalls, but TOTTI give a Harajuku spin to it. People carrying cotton candy around Onden Shrine really decorated the area. The amezaiku booth was very well received last year too. Not only could to purchase some amezaiku candy, you could also make your own amezaiku rabbit, bear and more together with the teacher. 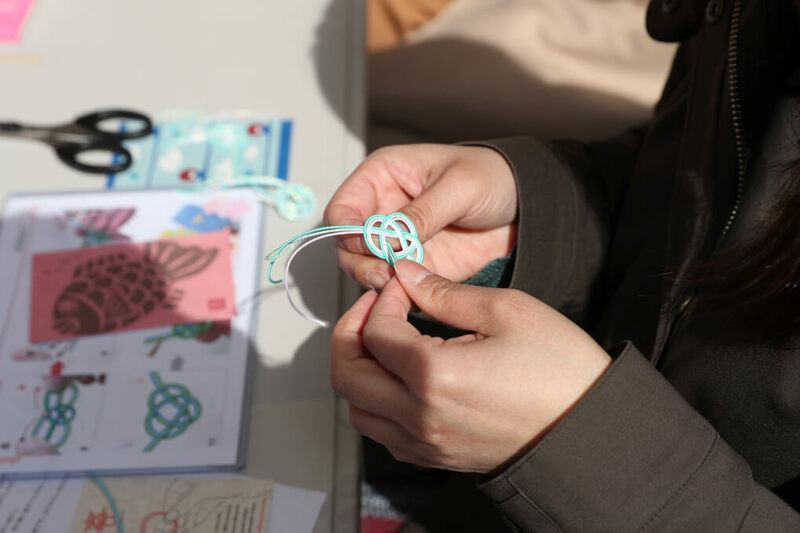 Mizuhiki artist Kaori Funaki was invited to hold a workshop for people to create ‘mizuhiki’ which are special cords that tie envelopes used for monetary gifts. 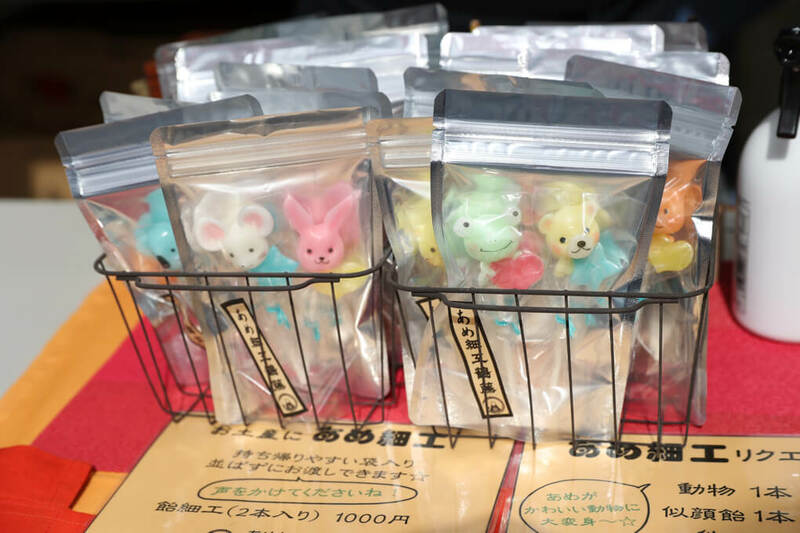 There was also individual mizuhiki related merchandise on sale, such as chopstick rests. 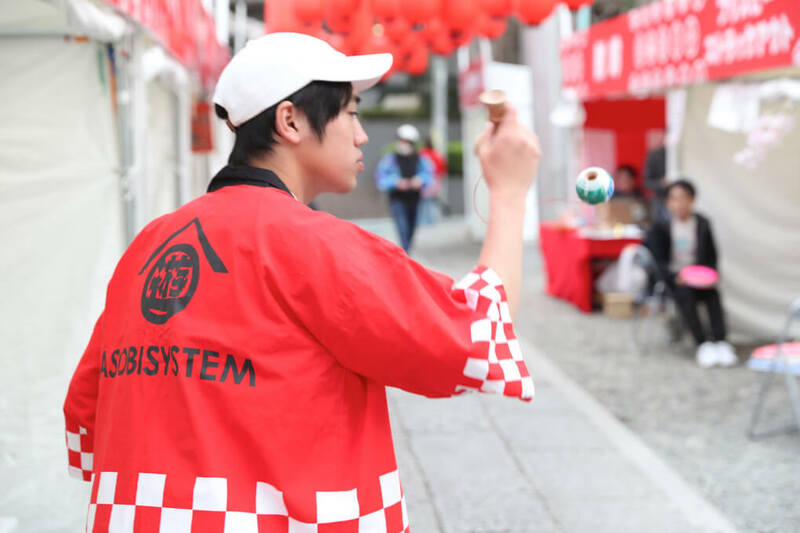 Global Kendamas Network was established to help spread the use of kendama, a popular sport originating from Japan that has given rise to pros around the world. Kendama performer EASY performed on stage, kendama for pros were sold, and people tried out kendama themselves. 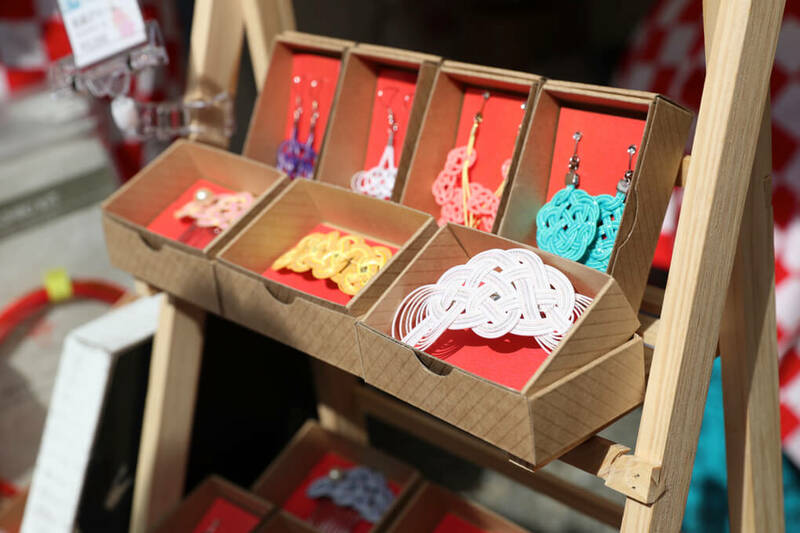 Omamori and other items are sold at Onden Shrine. 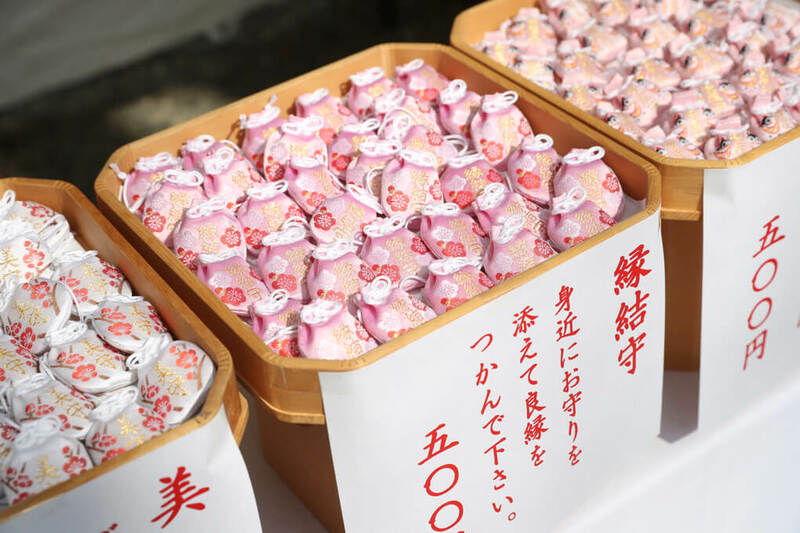 The god of beauty is enshrined at Onden Shrine, so the small, round omamori charm for “Beauty” (¥500) was very popular amongst girls. With foreign tourists, the omamori for “Victory” was popular. 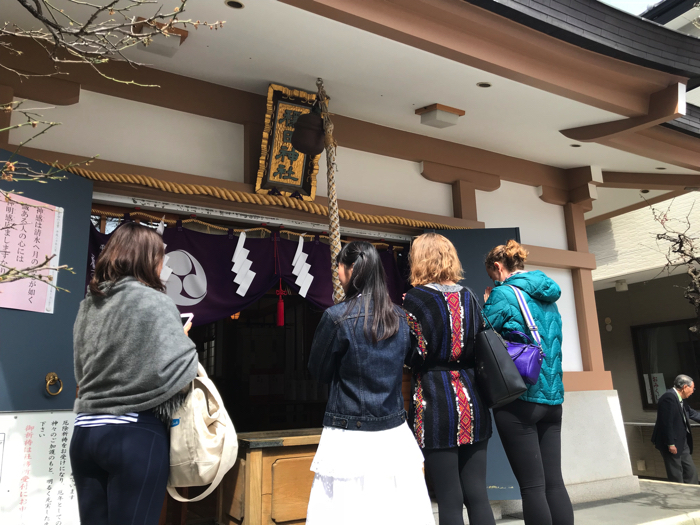 As part of the Harajuku tours by Airbnb which began and finished at SHIBUYA CAST, people were taught the proper manners and etiquette to praying at Japanese shrines, including about torii gates, temizuya, hishaku, and the main shrine building. 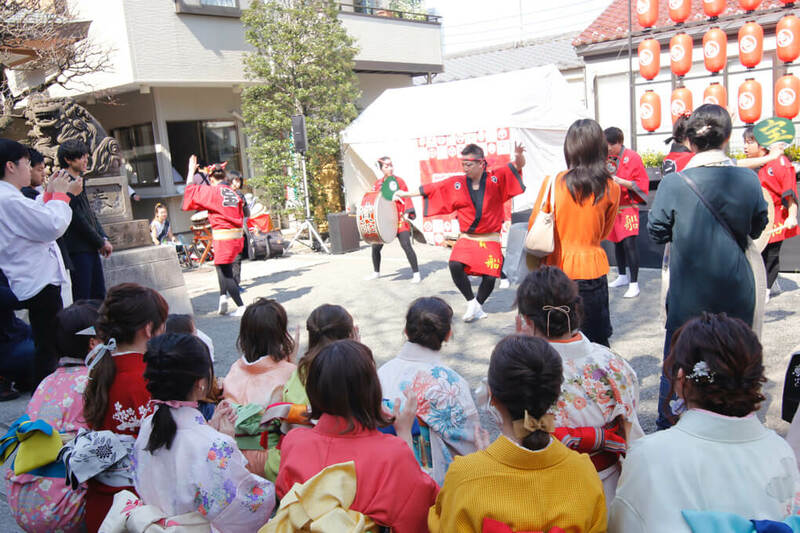 Foreign tourists with an interest in Japanese culture were happy to get involved. 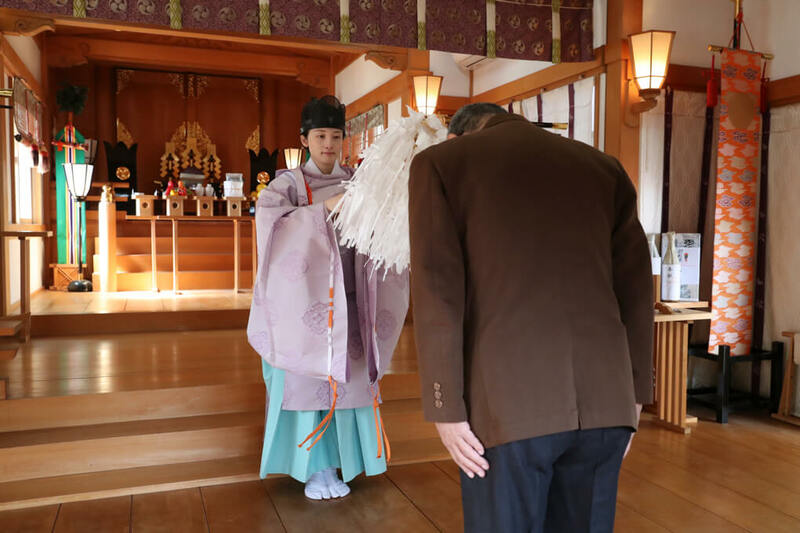 People were also able to participate in a formal sanpai and learned about ‘tamagushi houten’ – humbly presenting a tamagushi, a type of Shinto offering. At this booth, people had to throw a frisbee 6 times. When they got 1 line of bingo they picked one item they liked, and when they got 2 lines they picked two. Even if people didn’t get bingo, awards were still handed out to participants. 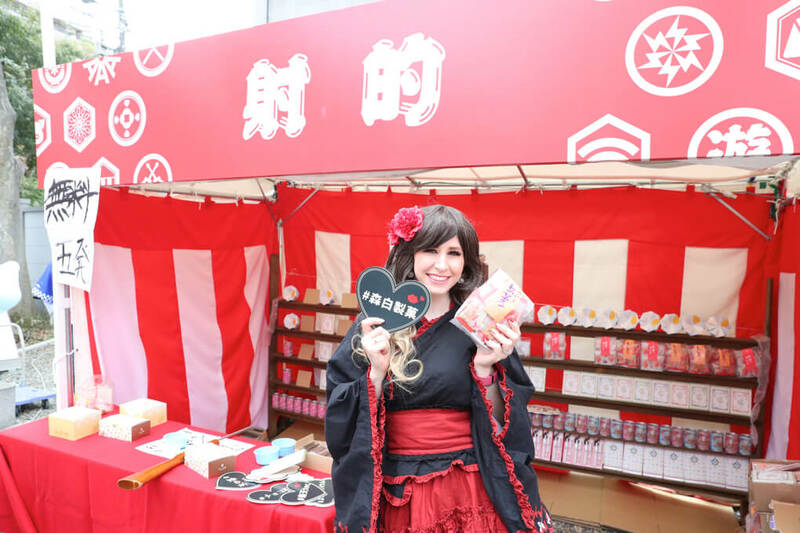 The line-up included regional Japanese specialties such as “Soy Sauce Mochi” from Oita Prefecture and staple souvenir from Fukushima Prefecture “Brown Sugar Manju”. 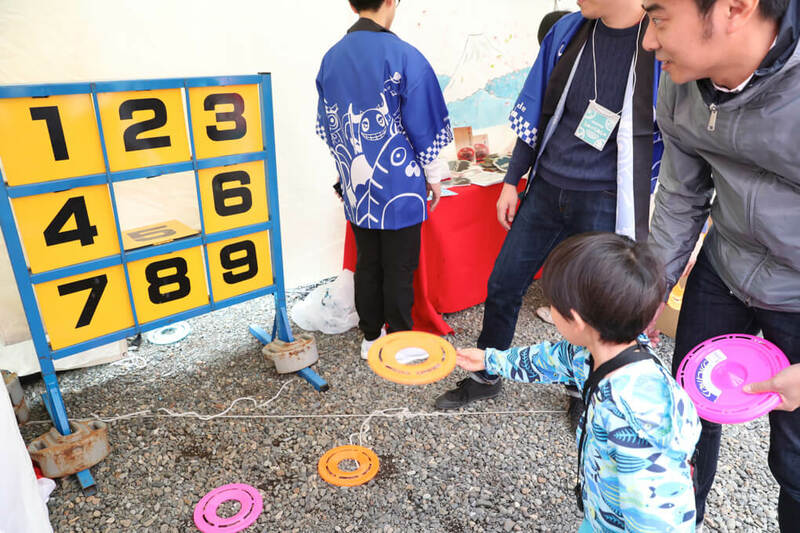 The target practice game is common at Ennichi, but this was a special MMN Festival version. People had 5 shots per turn, and depending on how many targets they shot down, the number of prizes would change. Those who couldn’t land a shot weren’t left out however and were gifted low calorie chocolate. Prizes included tins of oden, tom yum flavoured okaki, and more. 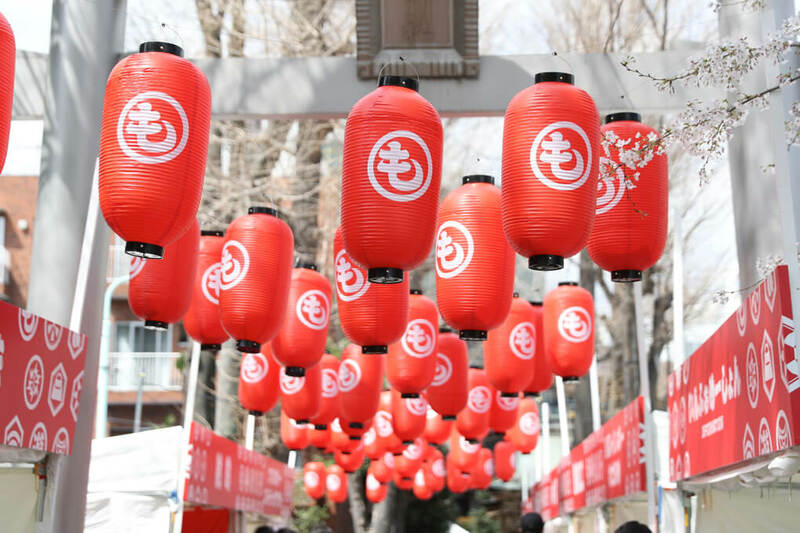 Did you enjoy the events at Onden Shrine? 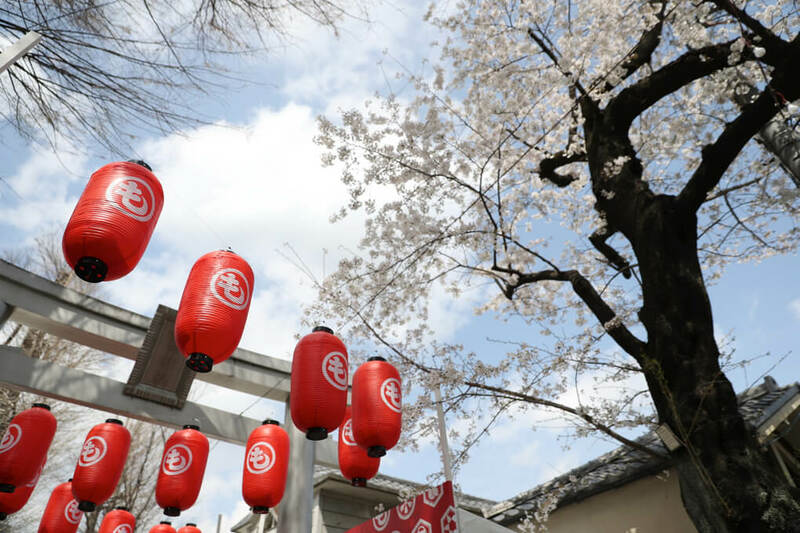 We took elements from traditional Japanese matsuri festivals and put a MOSHI MOSHI NIPPON spin on them. 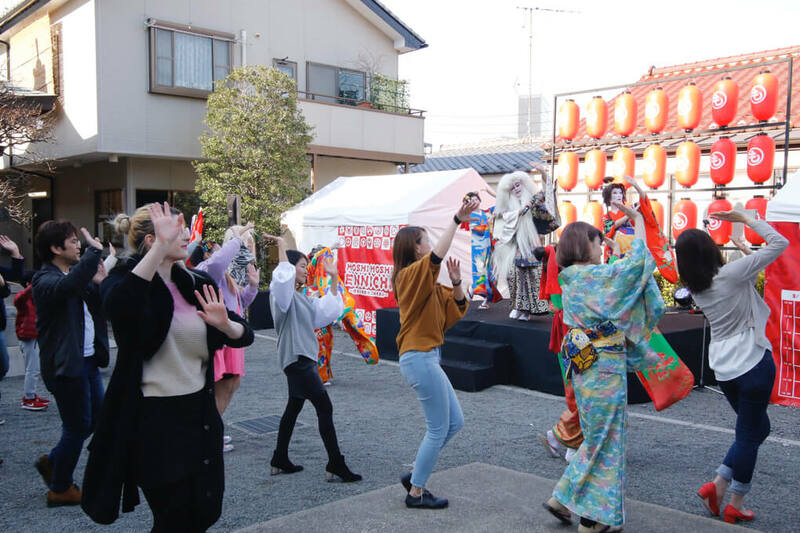 During the Onden Shrine events, we were able to receive cooperation from local people and those associated with the shrine prior to the festival until the end of the festival. 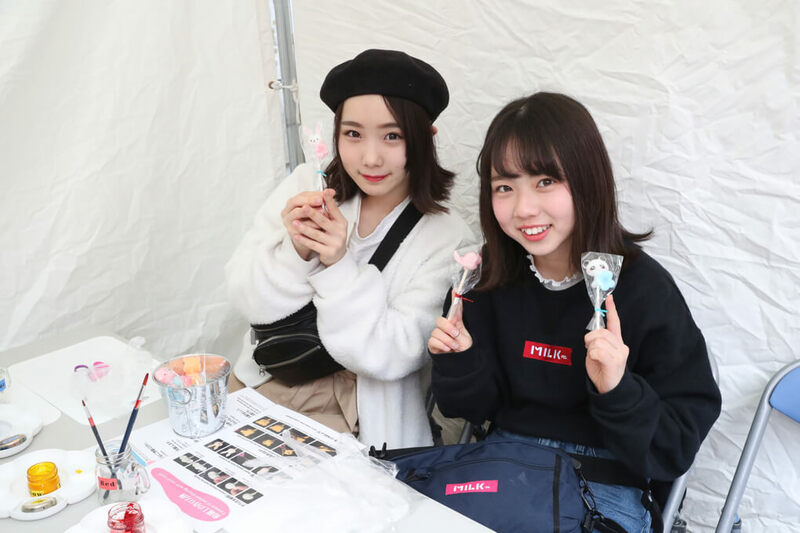 MOSHI MOSHI NIPPON would like to continue holding even more events in the future where locals and those visiting Shibuya and Harajuku can have fun together.